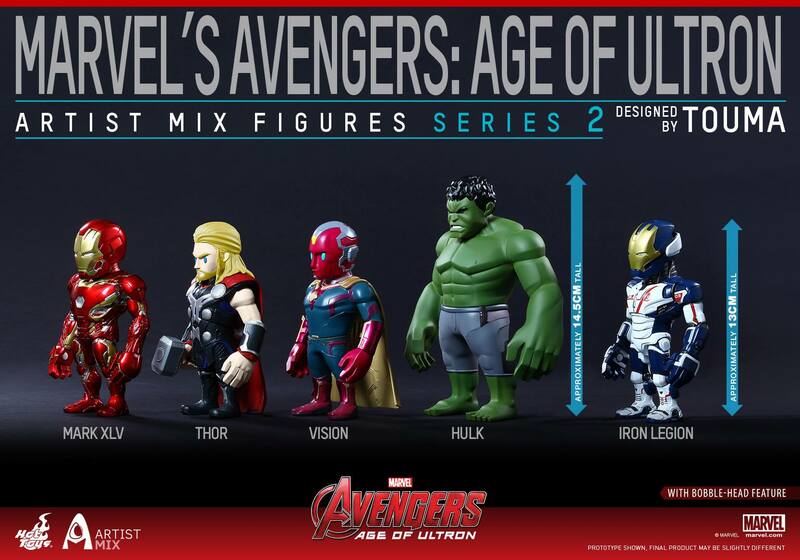 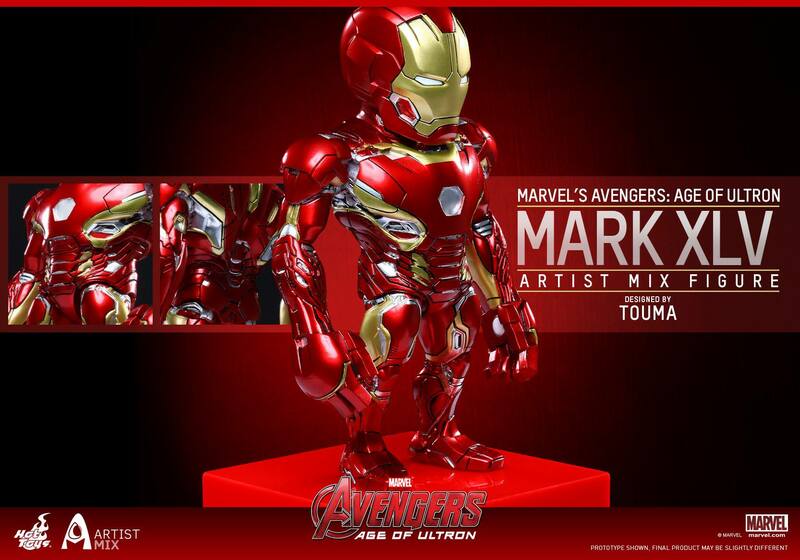 "The highly stylized Hot Toys Marvel’s Avengers: Age of Ultron Artist Mix Figures Designed by TOUMA (Series 1) has been popular upon its release especially in Hong Kong where they are sought after by fans of different ages! 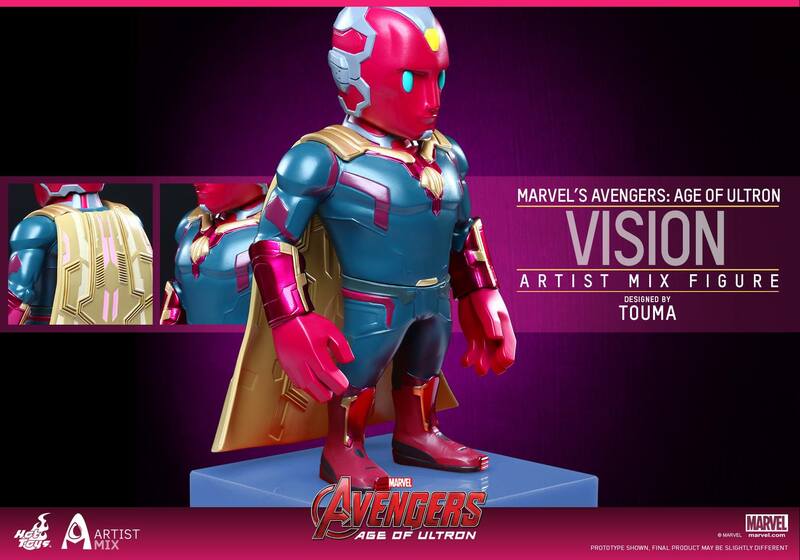 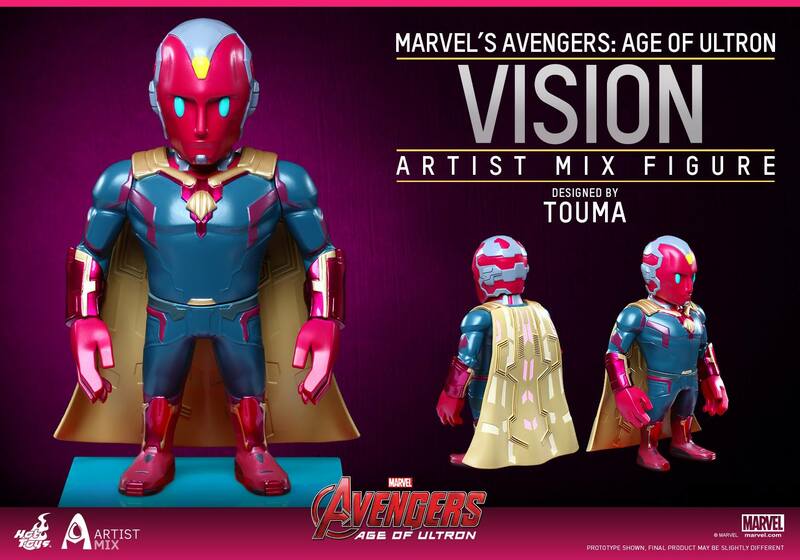 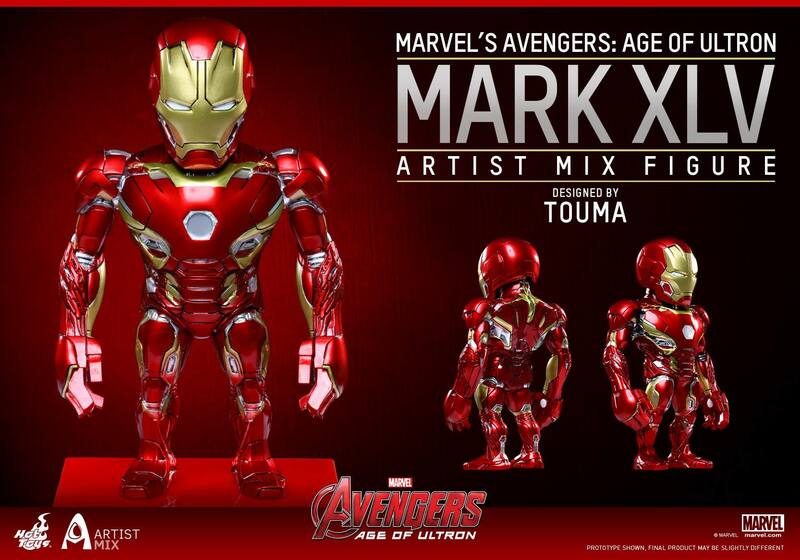 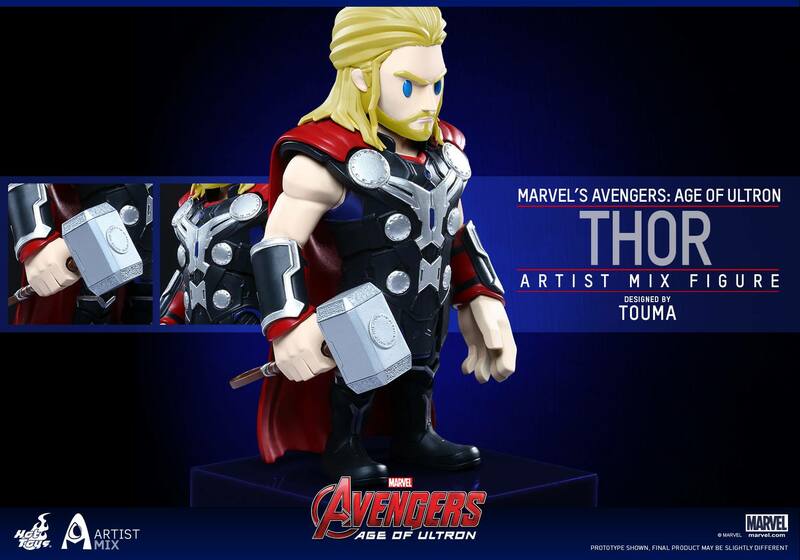 Today, Hot Toys is pleased to continue the collaboration with Japanese artist TOUMA* and present the new Avengers: Age of Ultron Artist Mix Figures Designed by TOUMA (Series 2) to bring more characters from the movie re-imagined in the special art form! 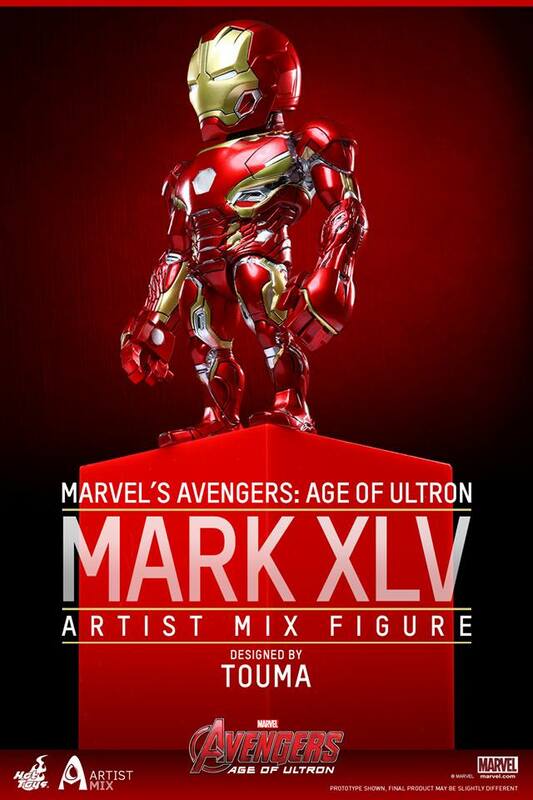 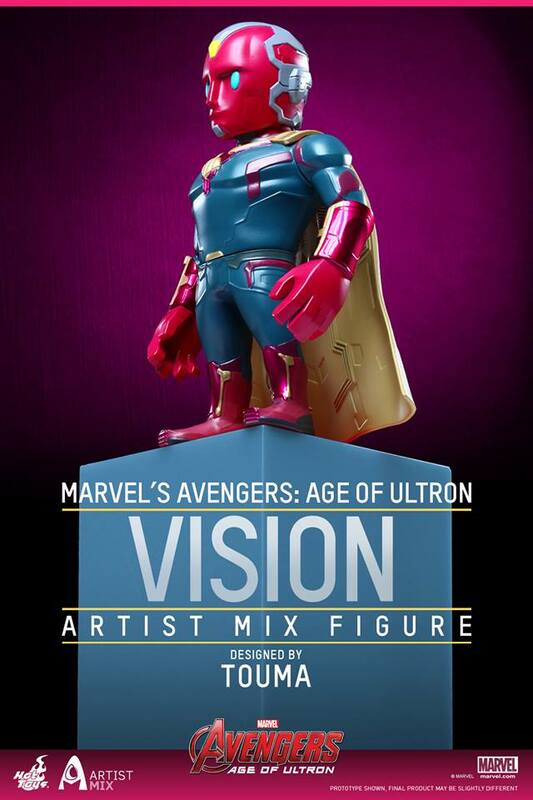 This second series will include Iron Man Mark XLV, which is the first Hot Toys collectible figure based on this new armor from the movie, Thor, Vision, Iron Legion, and The Incredible Hulk! 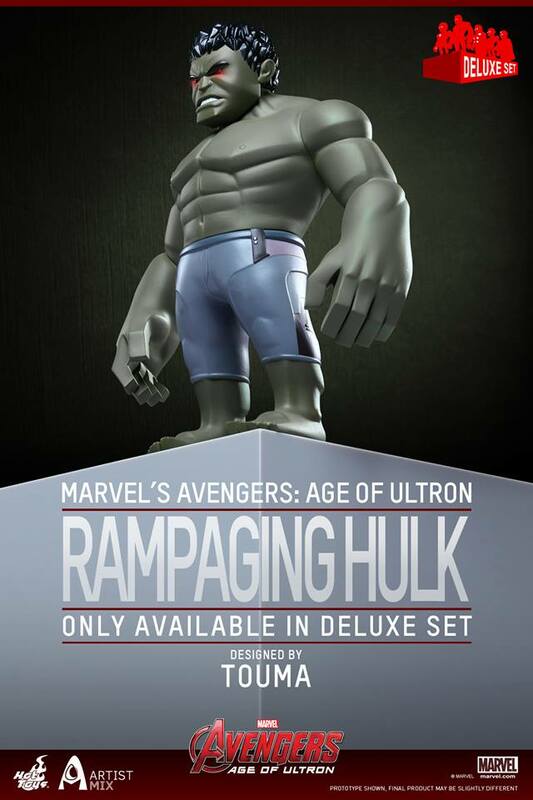 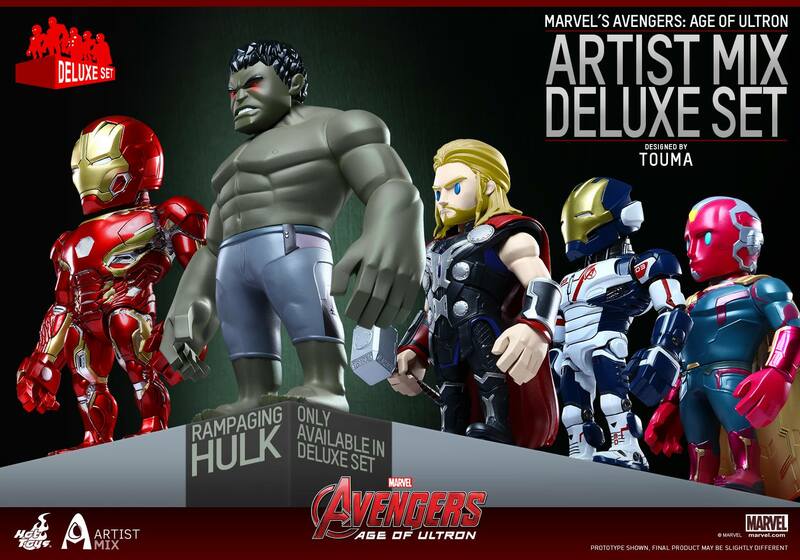 A special Deluxe Set of 5 is also available which will feature the first four aforementioned characters plus a special Rampaging Hulk that is only available in this set. 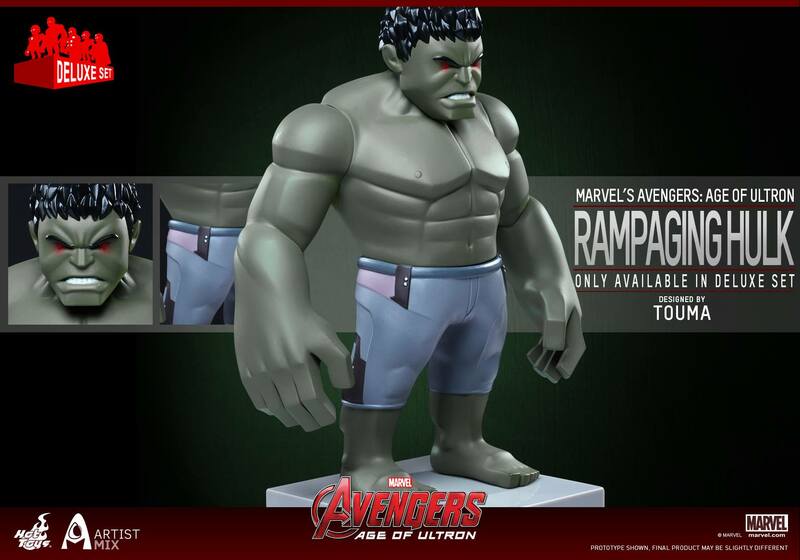 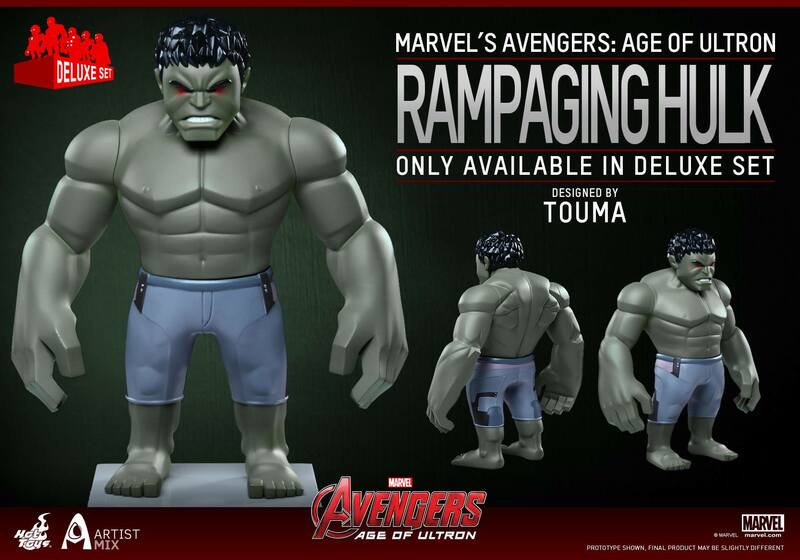 Each Artist Mix Figure has a bobble-head and stands approximately 13cm tall (Hulk/Rampaging Hulk stand approximately 14.5cm tall) and perfectly combines the movie characters’ designs with TOUMA’s distinctive art style! 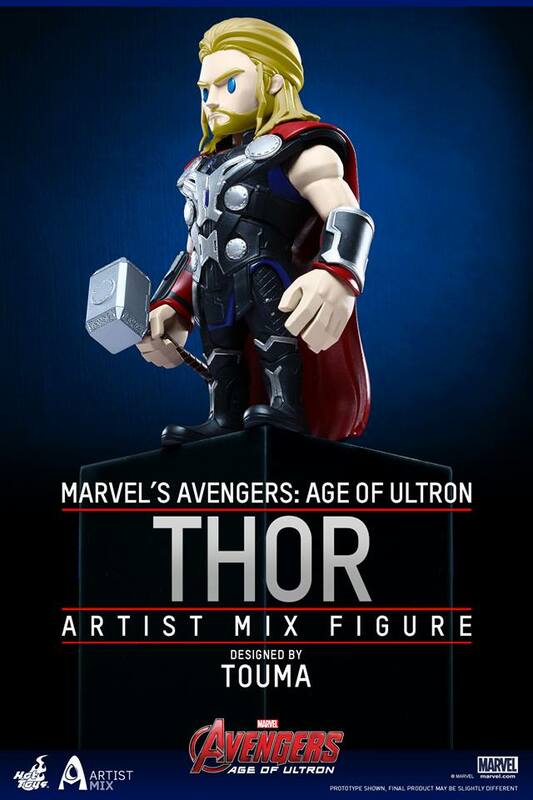 These Artist Mix Figures are great artistic complements to your shelves, desk, or dashboard!" 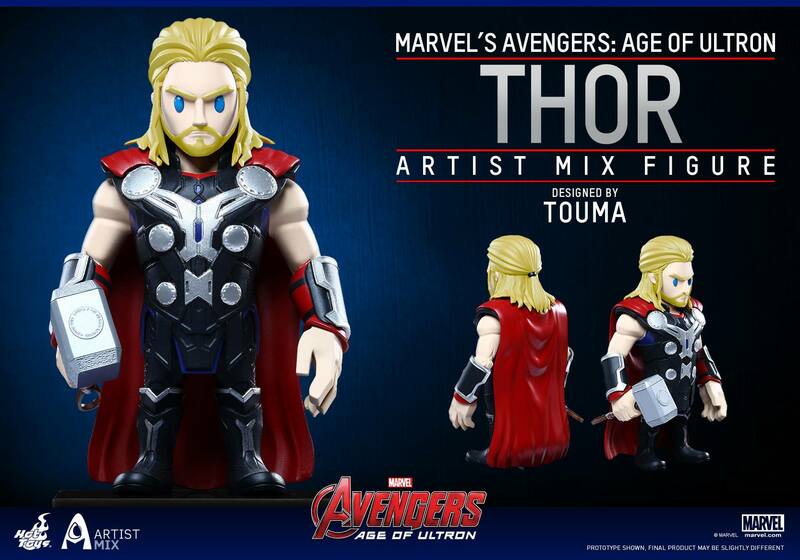 Scheduled for fourth quarter 2015.